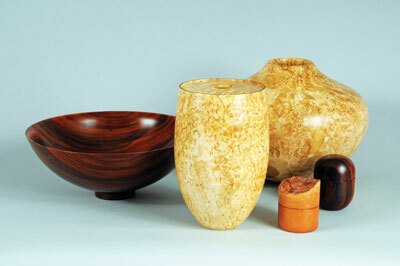 Since Woodturning magazine started some 25 years ago, the developments of both the craft and the art of woodturning worldwide have been significant. The contemporary rebirth of this ancient old craft started largely in the ’70s gathering greater momentum during the ’80s. This is when international sharing became the norm: seminars, workshops, national associations, DVDs, publications, tool, chuck and lathe developments, collectors, galleries and museums all contributed to this growth. 1. Variable speed lathes have definitely made the turner’s life so much easier. From a humble bench-mounted small mini lathe up to a state-of-the-art quality lathe, variable speed is available. I am reminded of my early days in the pattern maker’s shop where we had a flat belt drive with slipping clutch. My own workhorse lathe for many years was a 3/4hp single phase lathe with four step pullies, upgraded to a 1hp motor, then finally a 11/2hp three-phase motor delivering infinitely variable speed. These days, I use a lathe with a 3hp three-phase motor delivering all the power I need, which is instantly variable. In 1981 Richard Raffan and I travelled together to the USA and concluded at that time that if you combined the best features of the Harrison Graduate lathe with the best features of the Canadian General lathe, then you would have a pretty good lathe. How times have changed. 2. 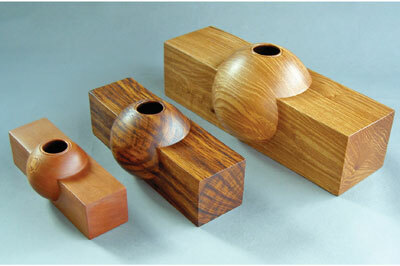 The turner’s art has seen off lathe work grow beyond belief. 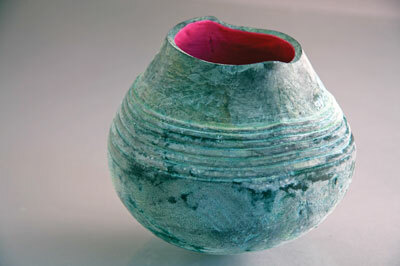 With so many facets employed, the turning element is by and large just the starting point of many works. 3. The internet has had an unbelievable impact on the turning world and marketing has changed as a result. Makers sell direct from their websites, as do tool and lathe suppliers. The demise of many a gallery and the loss of a number of big wood shows are indicators along with the recession of the impact of the web. For the most part, the internet has been a positive force, but has plagiarism increased as a result of this? 4. 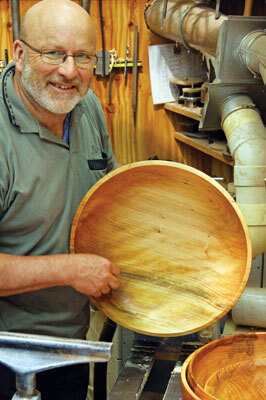 National turning organisations have fuelled the continued worldwide growth of crafts. Most have a local club network, hold international seminars and workshops, etc. International sharing has reached levels that have impacted the craft and the art of the turner in most countries. 5. Museum collections: for most of the 20th century museums largely ignored the turner, but that has changed in recent times. In the US there have been collectors donating their personal collections to museum and art institutions for some while. Now we have museums, certainly in Europe, purchasing and accepting donated pieces, thus lifting the status of woodturning. 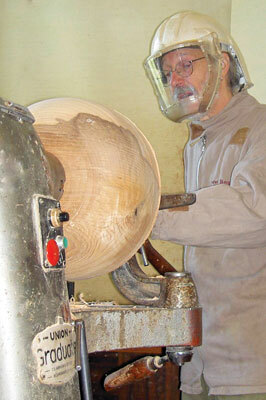 The biggest change in woodturning since 1990 is the same as in the world in general, namely the use of electronics. They have had a massive impact on all facets of my work. My first articles were badly typed and the photos were all on film. 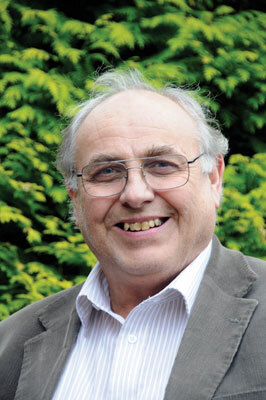 The first editor, Bernard Cooper used to reply to all letters with immaculately hand-written replies and I think that I am right in saying that GMC did not even believe in computers back in those days! Now my many typing mistakes are easily corrected and I can take as many photos as I like before eventually getting them right, or at least Photoshopped into shape. The internet is a well-used tool for disseminating information on technique, although, like much of the content, it is of very variable quality. When I can be bothered to look at it I usually end up shouting at the computer: “Why are you using that tool and why are you doing that so slowly!” It is nevertheless a good way of keeping up with what fellow turners are producing and has given me ideas. Emails are used instead of letters for communicating, all my orders are sent to me by this means, I am paid by electronic transfer and all my banking is done online. At the equipment level there are more models of lathe available to cover all pockets and needs. Many lathes have variable speed, which is achieved by means of an electronic inverter and this has a huge impact on making turning easier and more efficient. The design of chucks has improved although I still use the four jaw self-centring chuck produced by Axminster Tools&Machinery. The price has not increased by as much as you would expect in 25 years due to the computerised manufacturing process. 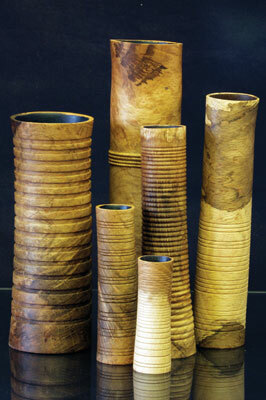 There are more types of woodturning tools available now but that is not necessarily a good thing. Just as it was in 1990, most students would still benefit from learning to use the basic tools properly. The price of hand tools is now approximately 3.5 times what it was in 1990. Most of the clubs that I demonstrate at have cameras trained on me and multiple screens so that the members can easily see what they would have needed to stand over my shoulder to see before. They can also hear what I am saying because most now have microphones. None of these pieces of equipment were affordable to clubs in 1990. Having said that, some things remain the same. For example, most beginners’ pieces are as bad as mine were when I began, despite the easy availability of courses, demonstrations and teaching DVDs. I think that woodturning will always be a skill which requires a lot of practice and that is what makes it so rewarding when you eventually manage to produce a piece which is well finished, aesthetically pleasing and perhaps even efficiently made. 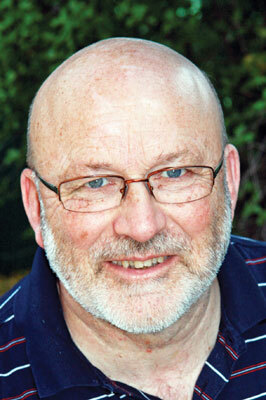 Richard Raffan – happy 25th birthday, Woodturning magazine! In the late 1980s, critiques at symposiums and workshops in North America, Britain and Australasia got people thinking beyond making nice bits of wood round and shiny. We assessed similar forms in relation to one another, as well as the quality of workmanship and finish. As a result, the overall quality of work and design in the instant galleries, particularly at the Utah and Buxton Symposiums, improved so dramatically that after three or four years, the critiques were abandoned. 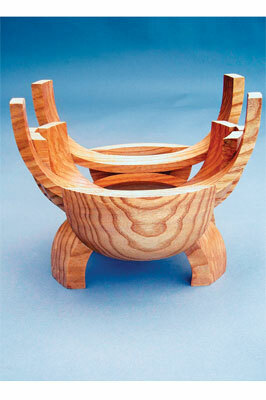 So when the first edition of Woodturning magazine appeared, there was plenty of good quality work around. However, I recall wondering where an editor would find enough interesting copy and images to fill 64 pages four times a year, as there wasn’t much variety with turning for the most part, still traditionally based like Ron Kent’s translucent bowls in the first issue, or Keith Rowley’s stool. 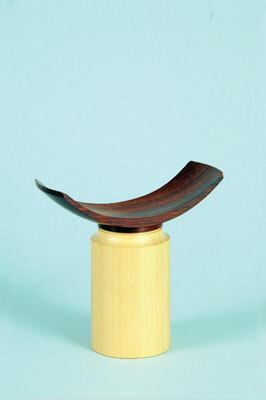 In 1990 artistic turnings still tended to be thin bowls displaying some technical expertise and flashy wood, although not necessarily particularly good form. 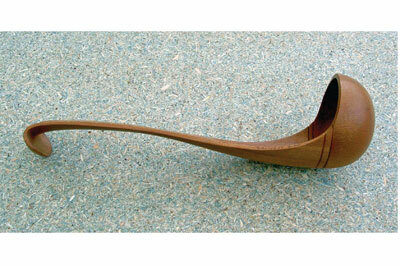 Then, in the ’90s, woodturners began to set aside traditions and break the rules. We saw a lot of what was previously regarded as rubbishy wood unsuited to even a fireplace transformed to artsy turnings featuring tool marks, holes and splits. These were certainly different and pointed in a new direction for the craft. At first there was very little carving or colour embellishing the turned forms, whereas today it’s the complete opposite and it’s easy to find ‘turnings’ that might have been near a lathe for a few seconds so as to qualify as a turned object, and people spend days piercing hollow forms, presumably to show off the thin and even walls they turned. When the first issue of Woodturning magazine was published in 1990, I was 47 and I’d been turning wood for 20 years, during which time woodturning related activities provided all my income. I’d been a craft identity for about 18 years with two books – Turning Wood and Turned Bowl Design – and one video published and my Turning Projects book and video about to be released. Craftwork sales were booming and I could barely keep up with orders for thick-walled jarrah (Eucalyptus marginata) burl bowls and salad bowls, most of which sold to tourists through Naturally Australian in Sydney; spending a couple of months teaching in North America and Britain each year didn’t help, but it was exhilarating. This continued through the ’90s and on to 9/11, after which tourism declined for a few years and wood sales dwindled – but by then I was more than ready for a quieter, dust-helmet-free life, and more time away from my lathe. 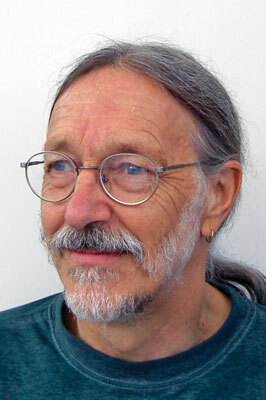 Since 2002 I’ve written for magazines, published a few books and videos and continued to teach, mostly in North America, where I could have been going from one hands-on workshop to another all year. Helping people help themselves is something I enjoy, but a couple of months on the road is more than enough. I still sell a bit to galleries and undertake commissions. I’ve rarely had work on consignment and never had to. If work fails to sell within a few weeks, then it’s in the wrong environment or the wrong price. If it does sell, galleries can afford to pay on invoice within 28 days and we’re all happy. 1. Self-centring four-jaw chucks introduced in the late ’80s have superseded all previous chucks. The best have jaws that enable us to grip small blanks quickly and accurately, without marking a turned surface. 2. Bowl Savers. Bowl savers, led by the McNaughton, have saved huge amounts of timber previously wasted while speeding up the bowl-making process. 3. Education. 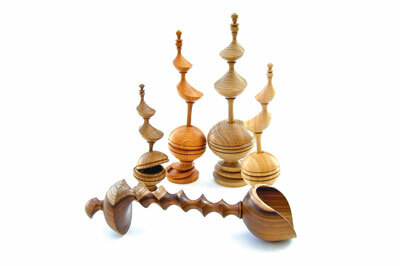 The ’90s saw a proliferation of woodturning information published in magazines, books and videos. 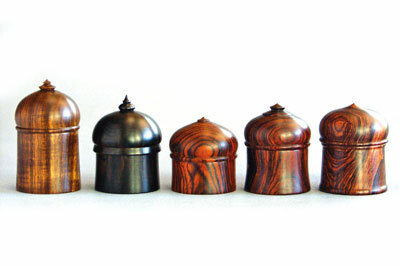 Symposiums and hands-on workshops, particularly in America, further disseminated ideas and techniques and spawned a circus of woodturning gurus travelling and teaching internationally. And we also now have the internet. 4. Hollowing rigs have made hollow vessels so easy that I hear turners complaining that thin-walled hollow forms are no longer a challenge. 5. Lathes are light-years ahead of what they were in the ’80s. Today we even have accurate tail centres that can be used to support wood in chucks.